If you’re new here are a few quick reasons why MeetUp Monday Link Party is awesome! You can link up any post you love! We’ll read them all and then each week we feature at least one (see below) and Pin it to our group board. And two hosts means twice the traffic seeing your posts! This link up is open till Friday at 8pm. We’d love to have 100 links this week! Help us out by spreading the word about this link up. 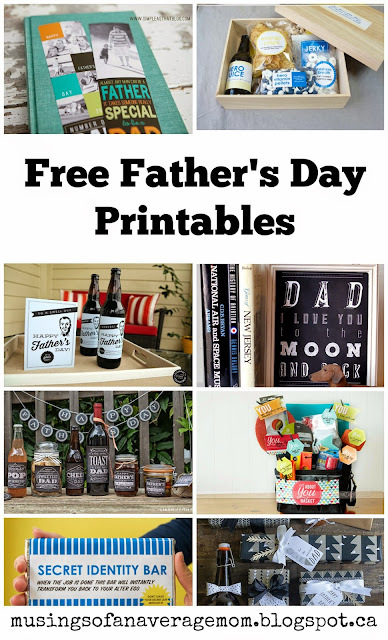 With just a few short weeks until Father’s Day check out this awesome round up of free printables from Kristen at Musings of an Average Mom. And, if you’ve ever wondering what it’s like to be a celebrity, just become a mom instead. 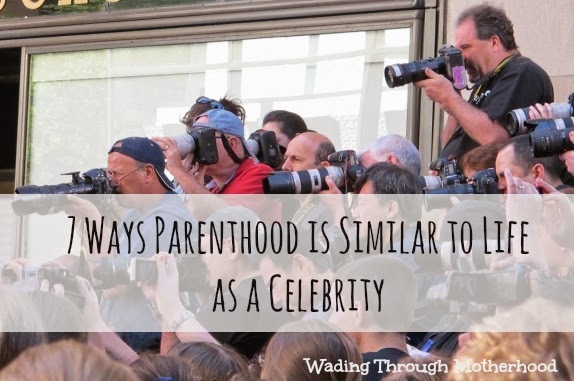 The similarities are uncanny 😉 Check out this hilarious post from Melissa at Wading Through Motherhood. MeetUp Monday Link Party: Let’s get to know each other on with this virtual blog party! Grab your favorite snack and link up. Share your favorite recent post with us and check out some other posts while you’re at it. We’ll read all the posts and will feature at least one blogger favorite next week, so don’t forget to stop by again. Oh thanks so much for the feature! 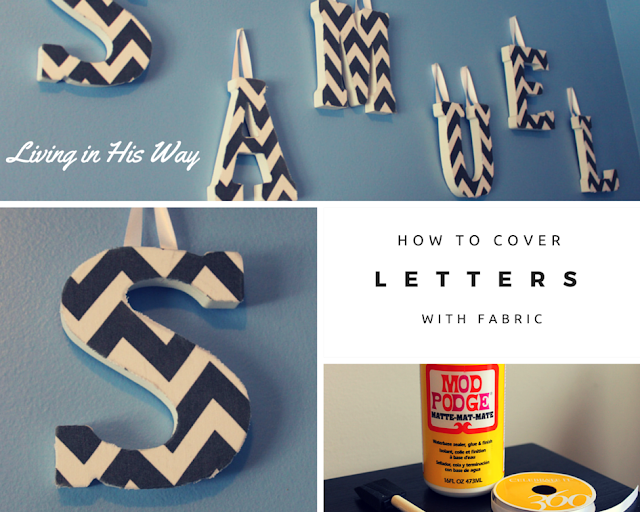 I never thought about covering letters with fabric, but that’s a great idea. Thanks for hosting. I was feel extra social, so I’m saying “HI!” =) It’s my first time here and I’m looking forward to lots of good reading and visiting every Monday!!! Thanks for hosting! Hi Cindie! So happy to have you! Thanks Krista for hosting such a great party! Hope to see you on Saturday! Pinned and shared! Thank you so much for the feature of most clicked and for allowing me to share my content with your readers. Happy Memorial Day! You’re so welcome! Thanks for linking up your fabulous posts! Aww Renee that made my day! Thanks for stopping by! I hope you had a wonderful Memorial Day weekend! So glad that I can participate in the link up again! I love finding news blogs and it’s always hard to choose just a few to read. Thank you for the opportunity again! Thanks for linking up Ashely! Thanks for hosting I love looking at what others link up! wbat a great linkup! I’m going to have to check some of these out!